Over the Easter holidays, we had planned to head back to my hometown of Carlisle to visit my family. 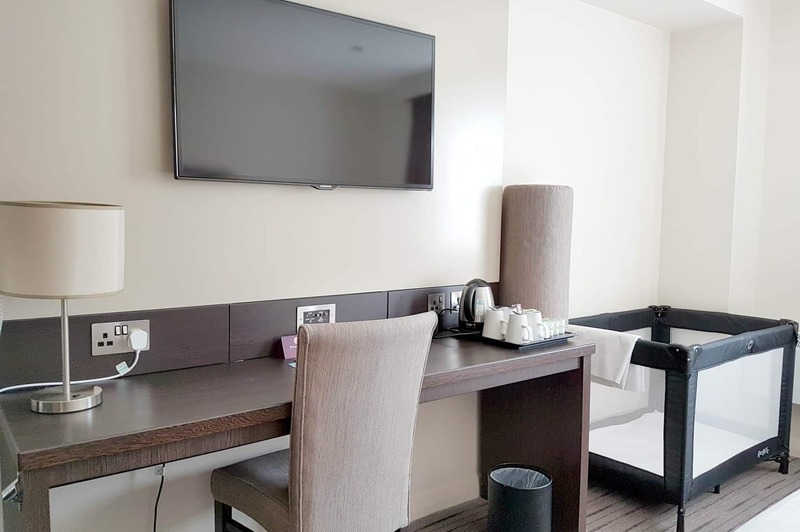 With my mam recently just moved house I felt it was a little unfair to descend upon her with three children so I opted to book a few nights at the nearby Premier Inn. 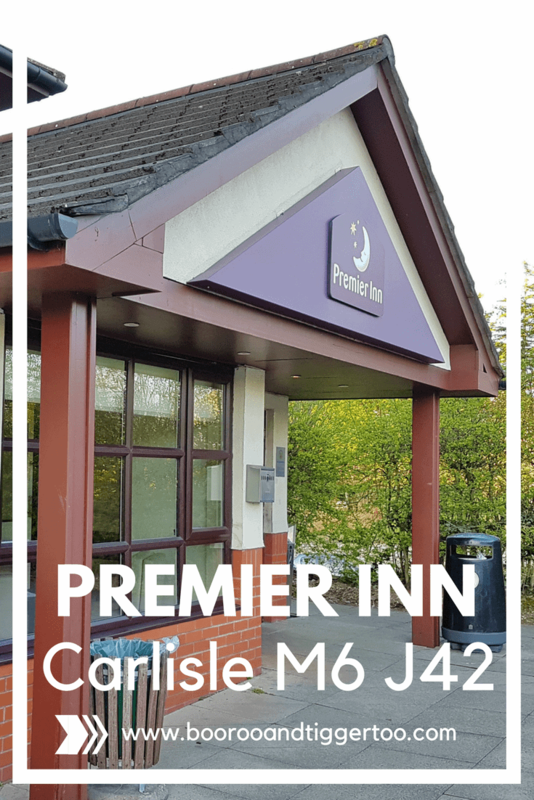 With several Premier Inn’s available within the Carlisle area, I opted for the Carlisle M6 J42 Premier Inn as this is the main road I travel into Carlisle on so was located on my route. Located just off the M6 junction 42 with the A6 at Carleton. 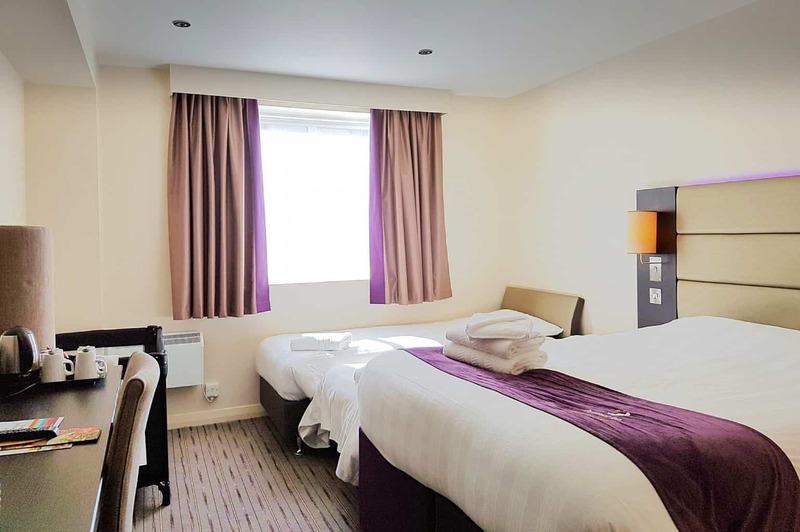 The Premier Inn is a great position whether you are heading into Carlisle city centre or looking to explore the local area. Situated a stone’s throw from the main roundabout it would be easy to think that it would be noisy and that you might not get as good as night’s sleep as if you were in the city. 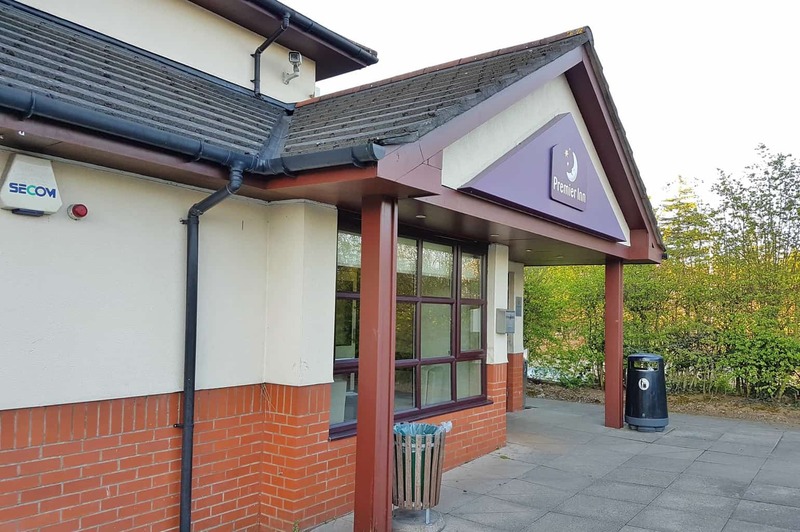 However, you would be wrong, the Premier Inn is positioned back from the main A6 road and surrounded by trees and shrubbery to defuse any road noise. Travelling to Carlisle with just myself and three children to some this might feel brave, however, knowing that I would be staying in a Premier Inn I felt quite relaxed about it. The family rooms available have everything you need to hand so whether you are staying as a couple with one or two children, or like me alone with the children you don’t need to worry. The large spacious rooms are light, bright and modern. With a large kingsize bed, two single beds and a travel cot there was still ample room for Piglet’s pushchair, suitcases and for the children to play. Equipped with a large flat screen TV, tea, and coffee-making facilities as well as wardrobe and vanity area. When it comes to staying in a hotel room we all look for different things. Whilst I or Roo might prefer to hop into the shower, Tigger and Piglet prefer to have a play about in the bath. Premier Inn appreciate that everyone is different and therefore offer a bath as well as a shower depending on your preference. The family size bathroom features everything you need in there, complete with complimentary towel use and hand and shower gels. 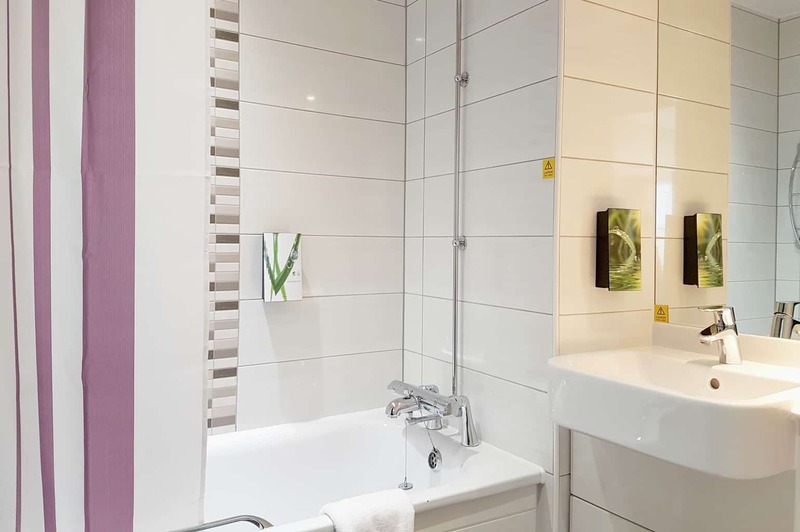 With a bright, clean look to the bathroom, it makes the bath time run much more appealing. Located just across the car park from the Premier Inn is a Table Table restaurant, the Border Gate. The restaurant is open daily for breakfast, boasting an amazing all you can eat buffet style breakfast – with two children eating free of charge for every paying adult. It is also open for the main menu meals from midday through to 11 pm (10.30 pm on a Sunday), with tables being able to be booked in advance if required, although we managed to walk in and get a table. We love staying at a Premier Inn, I always have an amazing nights sleep and there is always plenty of room for all of our belongings.